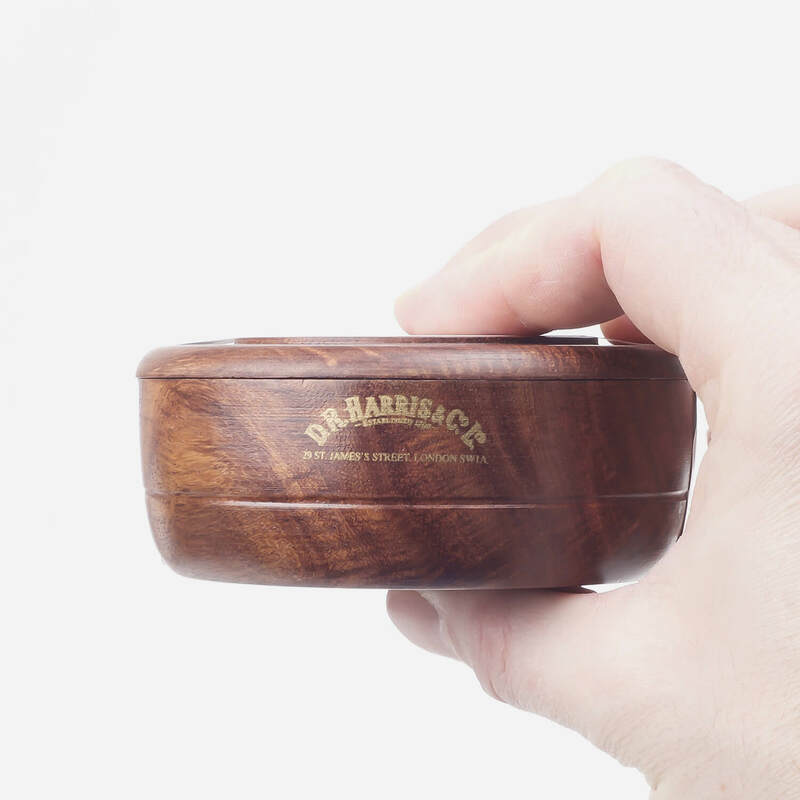 Solid triple-milled shaving soap presented in a mahogany effect wood bowl. Scented with Windsor. 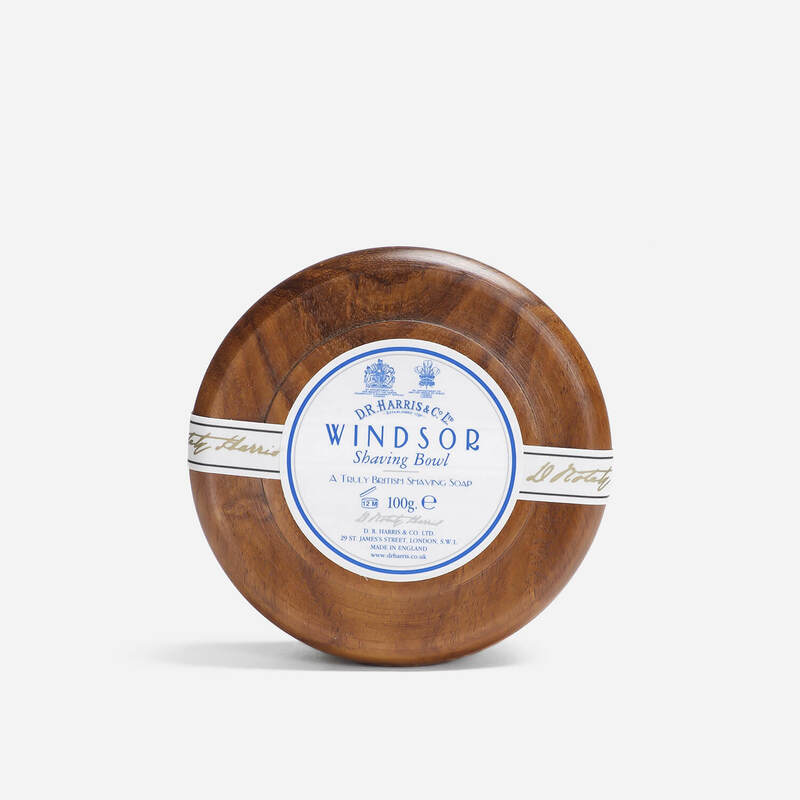 A solid white shaving soap presented in a sustainably sourced mahogany effect sheesham wood bowl. The soap is triple-milled to increase the quality and richness of the lather it produces. Scented with Windsor, a fresh, complex fragrance which starts with overtones of Citrus and Grapefruit, and matures into tones of Black Pepper and Vetyver. Potassium Palmitate, Sodium Tallowate, Aqua (Water), Glycerin, Potassium Stearate, Sodium Palmate, Potassium Palm Kernelate, Sodium Stearate, Sodium Palm Kernelate, Sodium Cocoate, Palm Kernel Acid, Petrolatum, Sodium Chloride, Tetrasodium Etidronate, Pentasodium Pentetate, Tetrasodium EDTA, Limonene, O-Tolyl Biguanide, Hydroxycitronellal, Citronellol, Amyl Cinnamal, Linalool, CI 77891. Lovely presentation with a high quality turned wooden bowl, the soap is very hard so should last a long time. Scent is “dirty orange” much like Terre d’Hermès but is quite mild and doesn’t offend during the shave or linger for longer post shave. Being tallow based its very easy to lather and provides a slick, cushioned shave.